All Together Armley group aims to revive Town Street | West Leeds Dispatch | News. Views. Get involved! A public meeting has adopted a plan to revive Armley Town Street – and formed a residents’ group to help reclaim the troubled area. 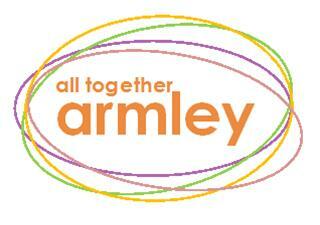 All Together Armley is made up of local residents and local councillor Alice Smart. The group determined to improve the fortunes of Armley Town Street, which has been blighted by anti-social behaviour and problems including fly-tipping and graffitti. Yesterday evening’s packed public meeting was called by Leeds West MP Rachel Reeves and heard the group had so far met five times – and had come up with a plan to help improve the area. It was agreed to explore possibilities of doing both. It was suggested getting the probation service on board to help with clean ups. Police should be more pro-active in prosecuting offenders. This would be achieved by introducing following in the footsteps of Headingley and Chapel Allerton and introducing what’s called a Cumulative Impact Policy, which will make it more difficult for businesses to successfully make applications for off-licences to sell alcohol. A consultation on setting a policy up in Armley will take place after Christmas. Existing off licences encourage to be more responsible, BARCA Leeds continuing outreach work with street drinkers, enforcement of existing court injunctions and issuing of new injunctions to offenders. Police say the situation is improving. Armley Mosque and Eastern European group POMOC will be members of All Together Armley. The importance of better promotion of Town Street was also highlighted. The plan follows a summer-wide consultation on the future of Armley Town Street and an initial public meeting in September. Concerns raised by residents included the need for more activities for youths, racism, rats on Theaker Lane clinic site, the need for better variety of shops on Town Street, upper Town Street being neglected with the Loony Bin shop falling into disrepair. The meeting, at Armley Library, formally elected a chair (Gudrun Schemilt), treasurer and secretary. Could you please keep me informed of meetings. I missed the one in Sept. due to being on holiday.